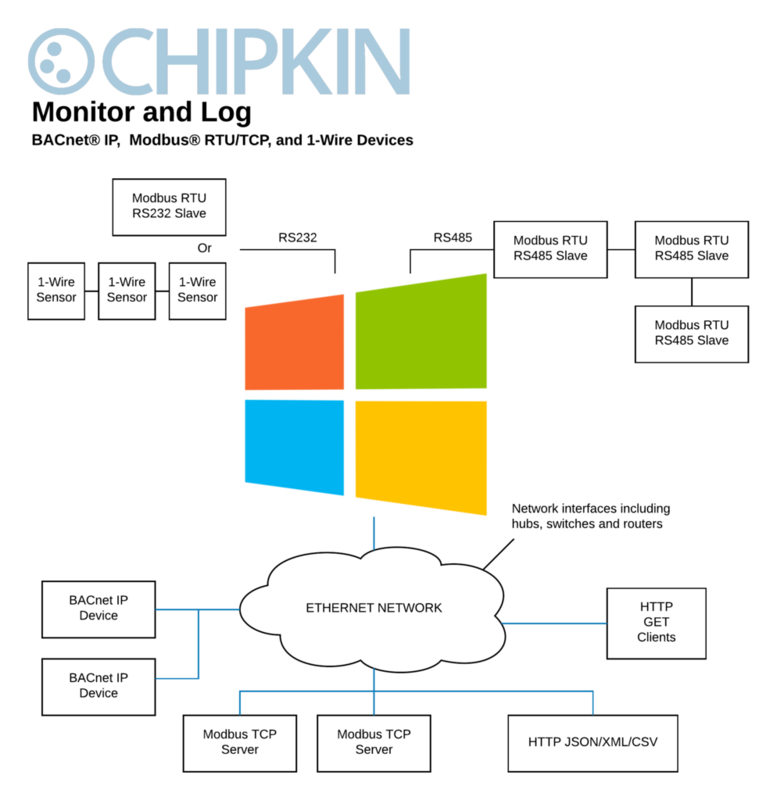 Chipkin™ Modbus® TCP Data Client/Logger is a device that connects to Modbus® TCP servers as a Modbus TCP Client, and reads and stores the data. Chipkin™ Modbus® TCP Data Client (aka Data Logger, Data Recorder) is a device that connects to Modbus® TCP servers as a Modbus TCP Client, and reads and stores the data. The data client operates by reading data from the configured registers and stores the values in an internal database. These values can then be logged to an archive file or can be accessed via the data clients REST API as XML, JSON, or CSV data using HTTP Get requests. Log files can be accessed by a Web Browser or FTP client. This device is a Software version of our Data Client/Logger. It is compatible with an hardware that can load Windows 7 or 10. It allows you to turn any PC that meets the minimum requirements into a Data Client/Logger. If RS232 or RS485 serial connection is needed, an adapter will be required. Chipkin Automation systems suggest ACON U-01.